One for Everyday of the work week? Almost! 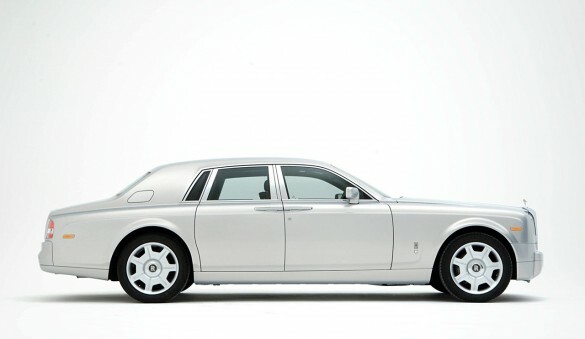 Rolls-Royce’s bespoke division is churning out yet another special edition Phantom. The Phantom Sapphire joins the Phantom Pearl, Phantom Silver, and Phantom Tungsten in the RR family’s line of ultra-premium luxury vehicles. The Sapphire boast a longer wheelbase than its siblings and features two interior options, either navy blue leather with seashell accents or seashell leather with navy blue accents. Let’s keep our fingers crossed for the Phantom Diamond or the Phantom Adamantium edition to save ourselves the embarrassment of driving the same car twice in one week; commutes are hellish enough without having to be seen in your Tuesday’s ultra-premium luxury vehicle on a Friday.